From June 3-12th, Christian Zacharias will take over the honorary role of president of the jury at the renowned Géza Anda Piano Competition in Winterthur and Zurich. The Géza Anda Foundation was founded in 1978 by the widow of the famous pianist for the promotion of young talent in the spirit of Anda, and since then supports many now famous musicians not only with prize money but also with engagements. Thanks to his enormous experience and musical far-sightedness, Zacharias is exactly the right person for the responsiblities as jury president and will contribute in a particularly artistic way by conducting the final concert with the Tonhalle Orchestra Zurich. 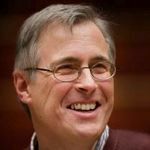 In this way, Christian Zacharias is able to pass on some of his wealth of experience to the young pianists. Afterwards on June 20th, Christian Zacharias will be performing at the Paris Champs Elysées Theater and on June 22nd at the Mozart Festival in Würzburg. In both concerts, he directs the Orchester de chambre de Paris in a splendid Play & Conduct program with Rameau’s Les Indes Galantes, Haydn’s Symphony no. 91 and Mozart’s Piano Concerto no. 17. Although their biographies overlap, the composers occupy separate worlds. True to style, Zacharias manages to link these worlds together.